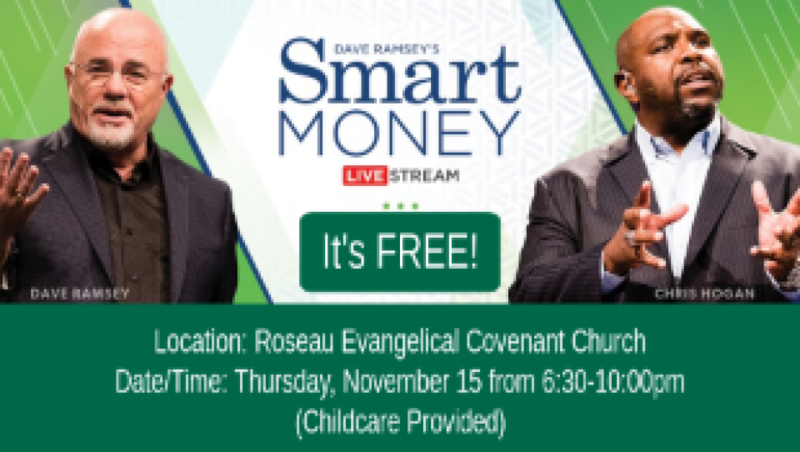 RECC is excited to host a free livestream of Dave Ramsey's "Smart Money" event on November 15 from 6:30-10:00pm at the church. It's absolutely free to attend! Childcare will be available. Click HERE to register. For more information, contact Yvonne Wensloff.